Trade, nuclear power and defense ties have been at the forefront of a meeting between the Russian and Indian leaders in New Delhi. Military and trade deals worth billions of dollars were sealed on Tuesday. A total of 30 documents were signed on the first day of Dmitry Medvedev’s visit to the world's second-fastest growing economy, and among them an agreement on oil and gas cooperation development, as well as cooperation pacts in science, technology and innovation. Deals on peaceful nuclear energy and information technology were also signed. The two BRIC countries are taking bilateral trade to a higher level. In five years the trade turnover between Russia and India is expected to reach US$20 billion annually. The two countries would also like to boost bilateral investment and cooperation in the aircraft and space industries. Russia and India have signed the much-awaited contract on the development of FGFA – the Fifth Generation Fighter Aircraft. 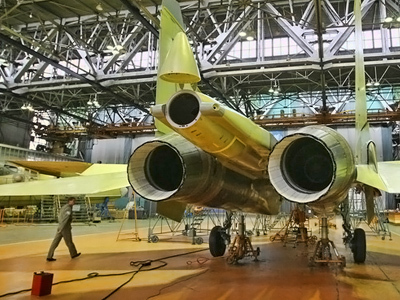 The total cost of the project, which includes production of 200-250 jets, stands at over US$30 billion. According to the Indian Defense Ministry, the program promises to become the biggest project the country’s defense sector has ever pursued. The two countries said they are satisfied with their military and defense cooperation and are going to develop partnership, including in the fight against terrorism. Tatyana Shaumyan from the Moscow-based Institute of Oriental studies says that Russia and India have long been strategic partners and that military cooperation is not a threat. “It is very well-known that Russia is really one of the most important suppliers of arms not only to India, but also to China and some other countries. But I think that our cooperation with India in this sphere doesn’t create any danger for both countries and for stability in the region. We have had experience of our cooperation in this sphere over the last several decades. It was a different kind of time. It was a time when India had problems with its neighbors and when India needed to have some support. We are strategic partners and I think that we would never use arms against each other,” she says. Russia is India’s leading weapons supplier and in the last eight years Russia’s military export to India is estimated at $US10 billion. Energy is another issue which has been on the table and in particular the expansion of civilian nuclear energy in India. Russia is already building two nuclear power stations in southern India, and the third one is being discussed. Prime Minister Manmohan Singh also pointed out energy cooperation – and pharmaceuticals. “Of particular significance in terms of concrete projects is our cooperation in the field of nuclear energy, the hydrocarbons sector, information technology sector, the outer space and the immense potential of expanding cooperation in the field of pharmaceuticals,” Manmohan Singh said. 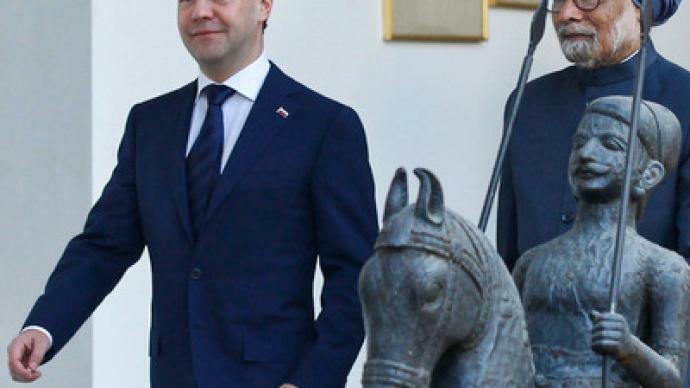 A head of Oriental Studies at the diplomatic academy of Russia's Foreign Ministry, Andrey Volodin, says that Russia’s contribution to India’s energy sector in the field of atomic energy is crucial. This is a vast area for bilateral cooperation because of the lack of natural resources in India and the growing population, he explains. “Russia has offered to India, for the first time, access to [Russia’s] military signals, which means that if India has access to the Russian GLONASS military system, which is [Russia’s] space navigation system, we can actually use those signals to bomb terrorist’s training camps in Pakistan or anywhere else,” Malhotra said. “And because these military signals are positioned very high, those strikes, those potential missile strikes, can be actually very, very finely targeted. After the Mumbai attacks which took place two years ago, there was hostile public opinion against these acts of terror in India. So, I think just this one agreement where India has access to the Russian space navigation system and where we can get military signals from [Russia], is a very big act of friendship,” she adds. The two countries’ private sectors also have mutual interest in cooperation and investment. The Russian president and Indian Prime Minister Manmohan Singh have made a joint declaration that Moscow and New Delhi now have the status of privileged strategic partners. They have also signed a statement on a decade of Russia-India strategic partnership and its development. 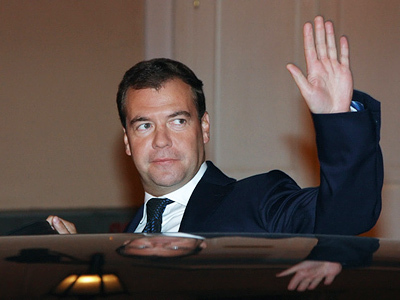 Dmitry Medvedev has invited Manmohan Singh to visit Russia and take part in a bilateral summit, which Prime Minister Singh accepted.